The Nigeria Labour Congress (NLC) commends the Federal Government for finally taking the inevitable decision to reverse the sale of the Nigeria Telecommunications Plc (NITEL) to the Transnational Corporation of Nigeria (TRANSCORP). Within four months of the questionable sale in November 2006, it was clear to all that TRANSCORP lacked the managerial and technical competence to run NITEL. 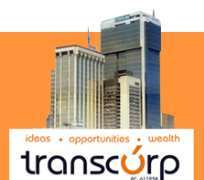 More worrying was the fact that the sale itself was clothed in controversy as TRANSCORP which supposedly paid $500m or 50 per cent of the cost, made claims to 75 per cent of the company. Also, as Government re-stated in its reversal statement, TRANSCORP failed to make the required injection of funds within 100 days of the sale and contrary to its claims, had no international technical partner to run NITEL. With manifest incompetence, asset stripping and non payment of workers wages, only political considerations and a lack of will prevented the sale reversal within the first six months. Given the fact that NITEL in 2002 with 553,471 functional lines and a generated income at N53.41B was a viable company, the NLC demands that all those who directly or indirectly contributed to running it aground should be investigated and charged to court. Those to be investigated should include the men and women who mortgaged NITEL to the PENTASCOPE team in 2003. Secondly, Government and the new NITEL Technical Board should only accept unpaid salaries as liabilities while the over $500million debt allegedly owed by TRANSCORP should be borne by TRANSCORP itself. Thirdly, asset stripping of NITEL including the sale of its huge Training School in Lagos, Zonal Office in Falomo, Lagos, its Island Territory office, Lagos and Zonal Offices in Enugu and Bauchi should be investigated, culprits punished and property recovered. Additionally, NITEL lands in the country which have been sold should be recovered. The NLC also appeals to the Federal Government to include Labour in the new Technical Board of NITEL so as to protect the interests of the workers who have been at the receiving end of NITEL's gross-mismanagement since 2003. In order to begin resuscitating NITEL, Congress appeals to government to order the immediate recall of all Labour Leaders in NITEL sacked by its TRANSCORP management between March and April 2009 whose “crime” was to protest nine months unpaid salaries. The NLC is willing to assist Government and the Technical Team to nurse NITEL back to a healthy state in the interest of the Nigerian people. To the working people of our dear country, the NITEL Privatisation trauma is one more reason why as a people, Nigerians and government cannot leave their fate solely in the hands of the private sector. Government's business in business is to protect and enhance the collective interests of the citizenry.